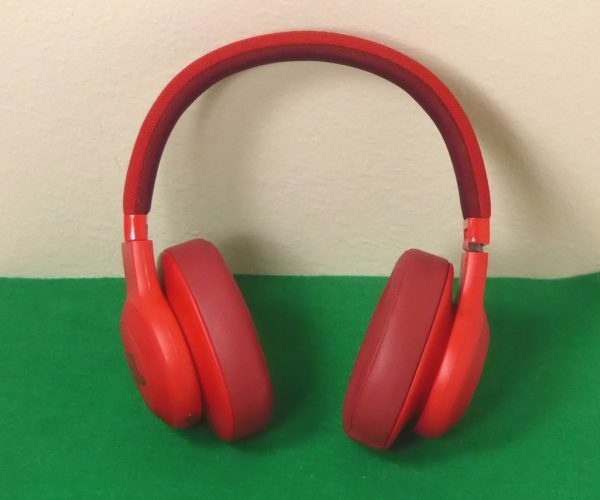 I am on a never ending search, a search to find the perfect set of headphones. I know for most folks that may be a simple proposition, just buy the best headphones on the market. But what qualifies as the best and besides as I have some other qualifications besides sound, I need to be able to travel and wear the headphones for long periods of time. My current top contenders are a set of Polk Hinge wireless Bluetooth headphones, they are pretty good, but they are an on the ear type headphone so they loose some long term comfort points. 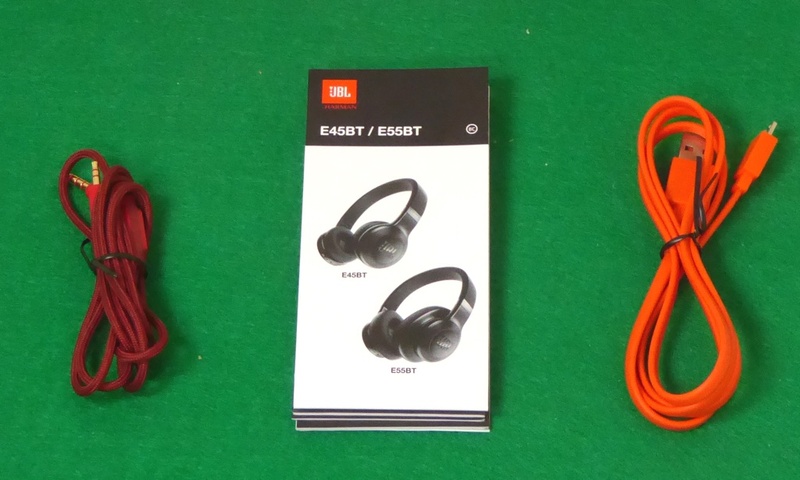 I now have a chance to review a set of JBL E55BT over the ear headphones. Let’s see if my Polks can be dethroned. For those who do not recognize the JBL name, they have been around since 1946 selling audio speakers for home and professional use. 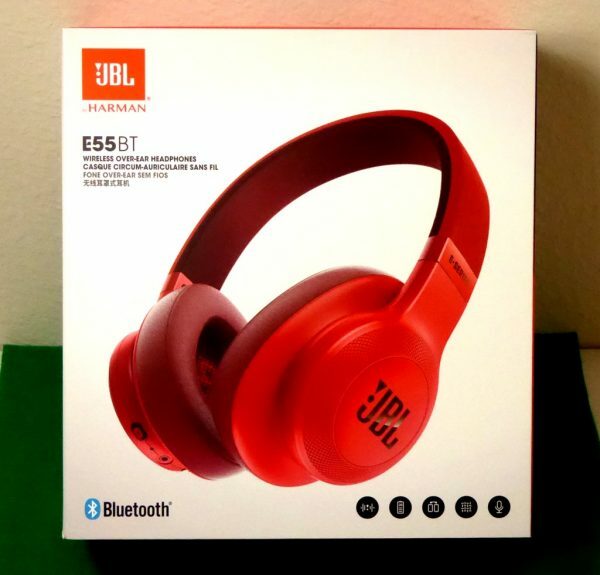 The JBL E55BT headphones are a newer offering in a long line of headphones. If I had to guess based upon their other headphone lines I would say the E55BT headphones are an upper-midrange offering from JBL. 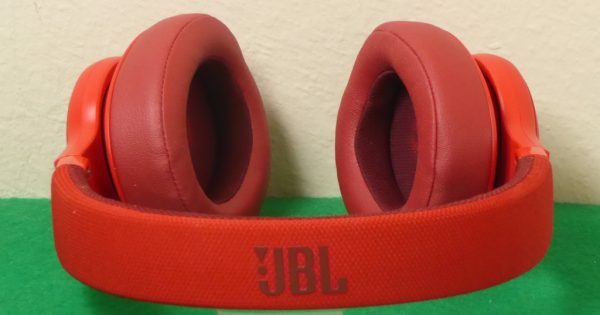 The top of the E55BT headphones has the JBL logo on it and is covered in cloth. The right side ear cup has the JBL logo on it and is hinged to allow the headphones to be folded. 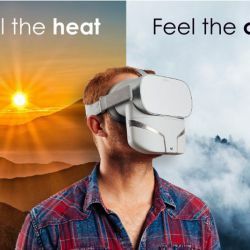 The hinge mechanism also allows the headphones to rotate about 45 degrees to the rear for wear comfort as well as storage. Both sides of the E55BT headphones have the same hinge setup. 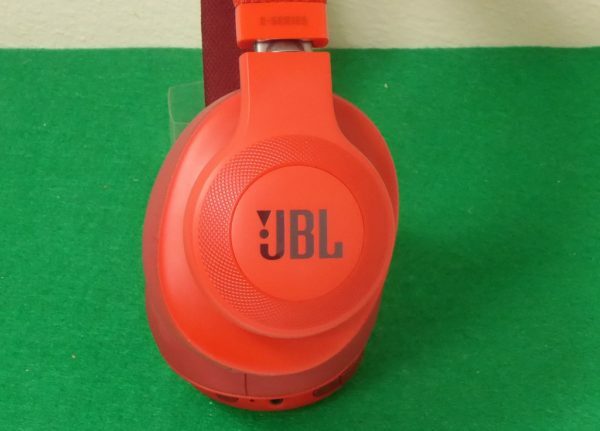 The left side of the JBL E55BT has the same JBL logo and hinge set up as the right side. Both the right and left side ear cups are made of a slick and textured plastic giving the headphones a good look. 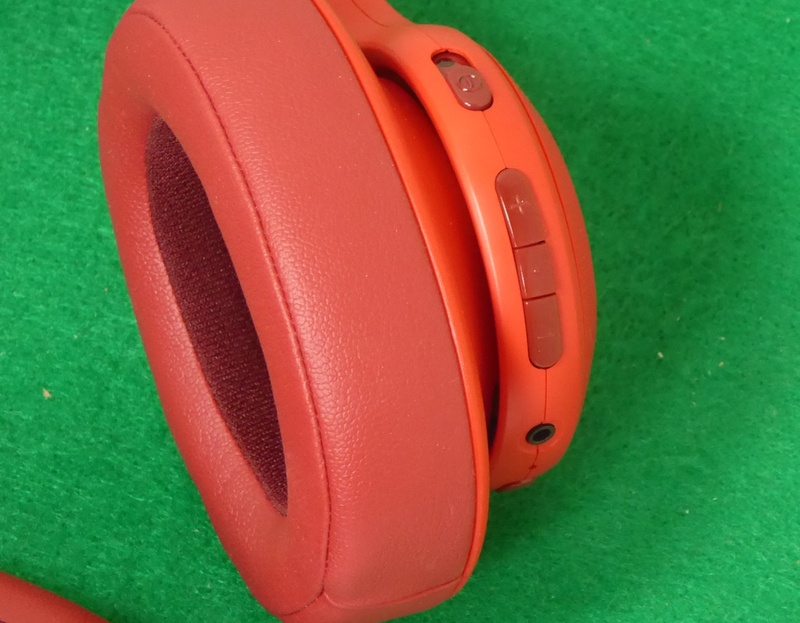 The right side rear ear cup has the headphones controls. The first control is the on/off slider switch that also has a LED to let you know the headphones are on. Below the on/off slider switch you have the volume control that also acts as the pause/play, call answer and track forward and back rocker. The left ear cup has no controls. On the bottom of the E55BT headphones have the headphone jack and Bluetooth connect button on the right ear cup and the charging port on the left. Charging is done via a standard USB to Micro USB cable. The front of the E55BT headphones have no buttons to give them a clean slick look. The padding on the JBL E55BT ear cups is thick and comfortable. Inside each ear cup, there is a cloth liner with either “L” or “R” inside so you know how to put the headphones on. The inside of the headband on the E55BT headphones are cloth covered like the top of the headband and have some padding on it. So, what’s my bottom line here? 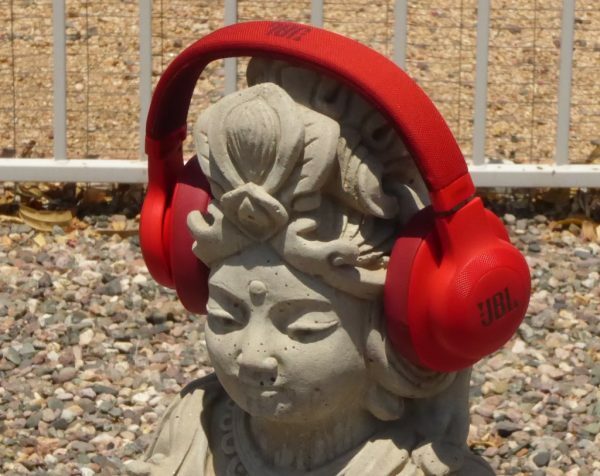 The JBL E55BT headphones are some nice headphones. The sound is great, not overly bass-boosted. This allows me to listen to all my music from classical to punk and all in between. Form and fit are also to notch, if I have any complaints it would be that I think they could use a little thicker padding on the underside of the headband. The controls are well placed and it is nice that you can control all the music functions from one switch. To be honest, I did not test the 20 hour battery time (not in a row anyway) but I have gone about a week and a half between charges (a couple of hours a day use). Synching the headphones to my iPhone was easy and painless. The E55BT headphones are comfortable for extended use (long flights or bus rides) and they have enough volume to drown out the world. 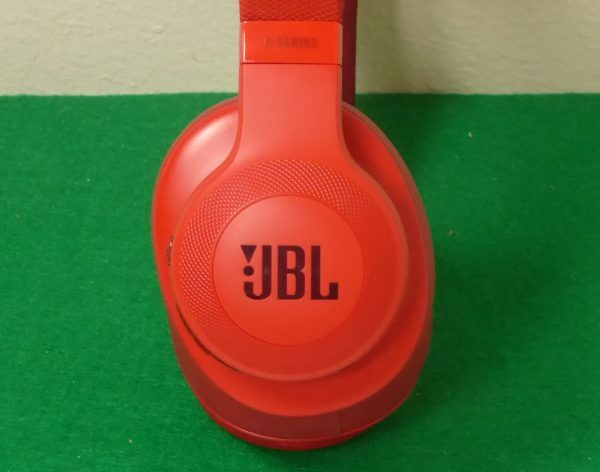 At a price of $149.99 on the JBL website and with five color options (black, blue, red, green, and white) The JBL E55BT headphones will fit just about anyone’s budget and fashion preferences. Source: The sample for this review was provided by JBL. Visit their site for more info and Amazon to order.